Day #1 - Pilates in Bed >>> 5 Days of SHORT & SMART Pilates for EASE & ENERGY to help you THRIVE this HOLIDAY Season — Pilates Nest move well. live well. Can you believe holiday season is just around the corner? During this busy season of the year and your life, my goal is to help you stay healthy, energized, reduce stress, and embrace and empower that beautiful body and mind of yours. Holiday season can be a hectic and overwhelming season with holiday preparations, shopping, parties and events, cooking, traveling, and much more. For many, its also the time of the year where we struggle to create time for self-care or exercise practice. It's easy to let go of our healthy and mindful habits until we find ourselves desperately trying to get back on January. Join me for 5 Days of SHORT & SMART PILATES for EASE & ENERGY to help you THRIVE this HOLIDAY Season. For the next 5 days, I will guide you with a 10 minute Short & Smart Pilates inspired class that you can do at home or while you travel this busy holiday season. If you would like to wake up to these classes in your inbox, sign up for the Pilates Nest Newsletter. CLICK HERE to get notified. It's totally free and easy to follow. I promise it will be worth your time. You ready? Let’s dive in…. This set of restorative movements and stretches are some of my favorites and I hope they will be yours too. Bed is optional, you can do these restorative exercise routine on the floor or mat. Over time, you will probably have them memorized and crave them when you are in bed. Healthy pleasures are good to have, right? Join me as I guide you through this wellness class designed to restore and refresh your body in the morning or at night. 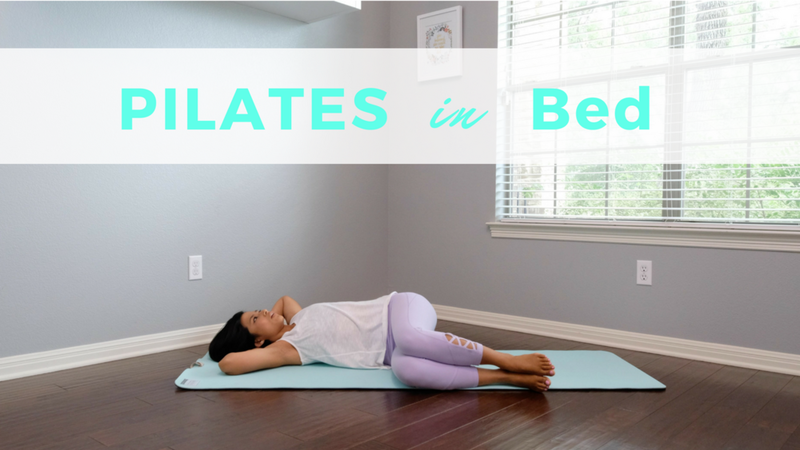 CLICK HERE to join me for Pilates in Bed. I will be back later tomorrow with Day 2 of Short & Smart Pilates to help you THRIVE this HOLIDAY season. PS -If you're a TRIBE member, I also added this video to our Movement library for easy, centralized, access and use for now and later. :) Think of them as Bonuses for this month!